Baldur’s Gate, Baldur’s Gate II, Icewind Dale, Planescape: Torment, and now Neverwinter Nights. Developer Beamdog have worked their way through the classic slate of BioWare and Black Isle RPGs in a wonky chronology, fixing, improving, and, where possible, remastering. It seems inevitable that they would wind up here, at the game first directed by company founder Trent Oster. “It’s been on my legal to-do list for about five years,” he laughs. Read more: the finest RPGs on PC. Legal roadblocks surmounted, this is still a more tentative announcement than that of Planescape: Torment Enhanced Edition, which released just weeks after its reveal earlier this year. For Neverwinter Nights: Enhanced Edition, Beamdog are keen to gather fan feedback early. One of their first acts on the project was to recruit an advisory board of 12 to 15 experienced modders, and ask them how their lives could be made easier. This eggshells approach is down to the fact that Neverwinter Nights is not just memorable for what it was, but for what it enabled. It essentially functioned as BioWare’s make-your-own-RPG platform, being one of the progenitors of the user-generated content explosion that games like Minecraft later made commonplace. 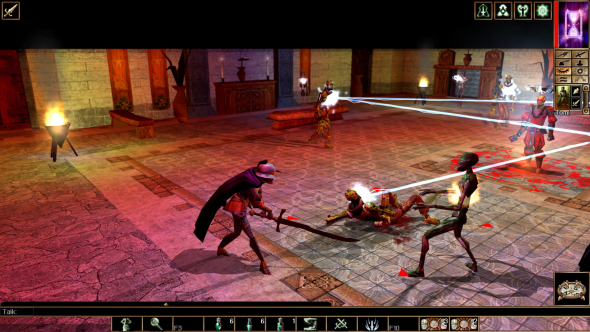 The Neverwinter Nights of today sits upon a decade-and-a-half’s worth of player-made modules, which Beamdog must be careful not to disturb or, worse, make incompatible. Yet, for Oster, there is still so much more to do. The series was out of his hands even before he left BioWare. 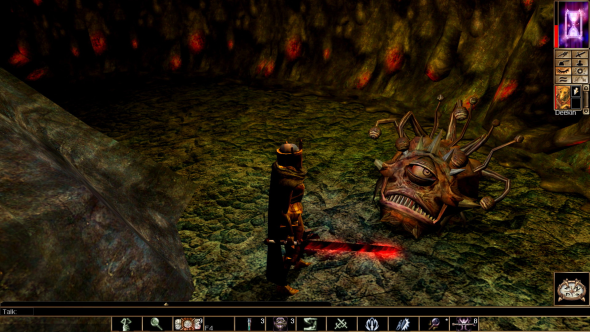 “When we went back to Atari and said, ‘Hey, Neverwinter Nights 2?’, they just couldn’t come up with the budget that would allow us to do the game that we wanted to do,” he remembers. 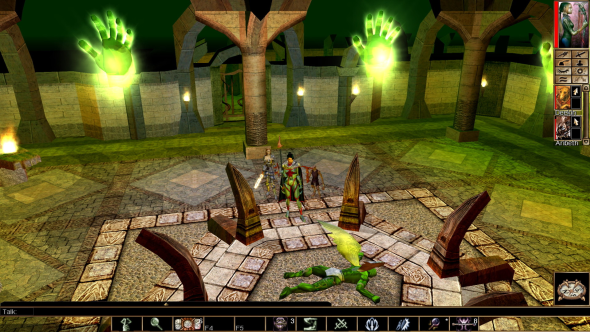 Whereas big-budget RPGs have become narrower and more focused around defined protagonists over time, Neverwinter Nights went as wide as possible. Yes, you were an elf, but what /kind/ of elf? If you wanted to be a fighter, did that mean you were a gladiator, a pirate, or a katana master? It granted options similar to those you had on the tabletop. “Baldur’s Gate was very rules-based. I loved the depth of the companions but I wanted something that played faster, more like you played D&D with your friends,” Oster explains. It is easy to forget in a post-Destiny world that RPGs once rarely did co-op – and when they did, they were half-hearted about it. 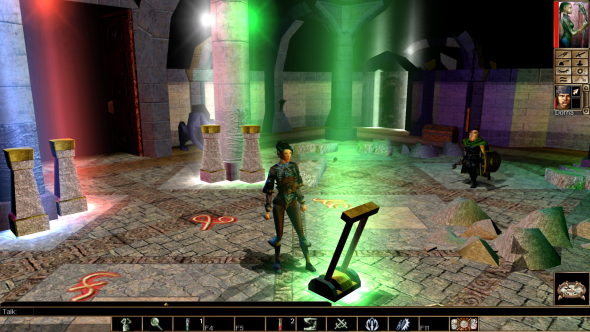 Yet Neverwinter Nights was geared wholly towards that goal, throwing out the solid, reassuring interfaces of the Infinity Engine for MMO-style translucency. Its UI was less a frame through which you viewed its world and more a customisable tool to suit your needs. It wanted you to play D&D with your friends – and through its toolset, any kind of D&D you fancied. If there was resistance within BioWare towards this approach, Oster never noticed. 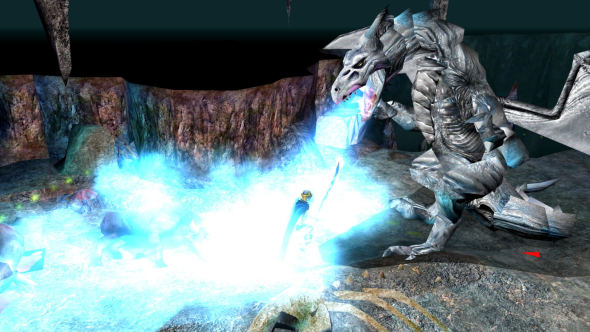 The toolset and multiplayer became the focus of Neverwinter Nights’ development, which meant the story campaign suffered. Its elegant planned plot was chopped up into chapters and hubs in the last three months before release. But, radically, BioWare allowed user creators to crack open the modules from that campaign to see how the masters worked their magic. It proved the perfect teaching tool, and those who persisted flooded the Neverwinter Nights community with original single-player stories, adaptations of classic D&D modules, and persistent online worlds. Some of these homemade MMOs were hand-moderated roleplaying realms in which you had to prove your literary worth before being allowed entry. Others were hugely popular hack-and-slash arenas. One pilfered the Planescape setting and had you wake up on a plague cart with the dead every time you respawned. BioWare did not host Neverwinter Night’s module archive for that reason, instead partnering with IGN for the Neverwinter Vault. That compromise worked, but it prevented them from being at the centre of their own community. And, soon enough, there were so many modules that discovery became a problem – the same issue that grips Steam today. There remain great RPGs buried inside Neverwinter Nights that only the most dedicated of genre historians will ever play. One role Beamdog hope to play with the Enhanced Edition, then, is that of curator, using their own digital distribution platform to spotlight the best campaigns and persistent worlds. “We want to do everything we can to drive people with the right interests to the right areas of what the game can do,” Oster says. Beyond that, they plan to open up the platform, make it easier for creators to share their work, polish up the look of the game with graphical features and post-processing effects and… make their own campaigns? “We haven’t committed anything, but it’s definitely an interest area,” Oster says. “There hasn’t been a ton of crazy progress on multiplayer storytelling [in the industry], so I think there’s opportunities there – and for making a fun, little single-player campaign. It is a problem only fitting for this most open of RPGs. Neverwinter Nights was the platform that helped usher in the user-generated age, and perhaps it fits in now better than ever.